That’s right. 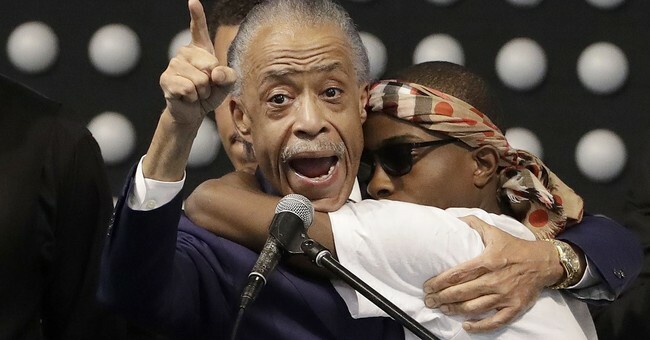 Sharpton was asking if 2020 presidential candidates - 2020 mind you - support paying black slave descendants reparations for an institution that ended in 1865. First of all, geniuses, where is the money going to come from? We know good and well it won’t be voluntary, so do we tax everyone, or just white people? What if the white person descended from Italians who, like my grandfather, emigrated to the U.S. in the 1920s? Do we tax ALL white people or just rich ones? What if the white person descended from Northern soldiers? What if the person being taxed is only half-white, or maybe, just for fun, three-fifths white? Finally, on the topic of where the money is going to come from, might it be possible that, should we finally settle on who is to be taxed, said parties might not be amenable to having their money stolen to cement the Democratic Party power base or, at best, assuage the consciences of guilt-ridden liberals? The ever-present quest to achieve equality of results, as opposed to simple equality of opportunity and under the law, lies at the root of the liberal approach to this and so many other matters. In this case the thought is, since so-called “economic inequality” exists, simply shift some of the economic wealth over the “disadvantaged” and all will be well. It’s a racially biased form of the unworkable and thoroughly discredited “welfare state,” except worse because for every individual you temporarily make “wealthy” you run the risk of making many more resentful. Libs, do you want to create racial animosity where none existed before? Try telling the white son of a West Virginia coal miner working his way through community college as a bartender, or the white single-mom daughter of an Iowa farmer, or a down-on-their luck white couple who just got turned down for a home loan that their taxes are going up so the black son of a professional athlete can get richer because his ancestors a dozen generations back may have been slaves, or something. Yes, there are certainly issues and problems facing America’s black communities, but they’ll only begin to get solved if enough people start listening less to the likes of Al Sharpton and more to thinkers like Walter Williams.